Washington's reaction is causing greater damage than the event itself. Now CNN reports that almost all new drilling activity has been suspended for over two months. This includes shallow wells in less than 500 feet of water-despite Obama’s statement that such wells would not be affected by his orders to cease all deep-water (over 1,000 feet) drilling. After thousands of deep-water wells have been drilled successfully without spills, the Interior Department, under Secretary Ken Salazar, has so delayed permitting and continuing operations as to possibly bring financial ruin to countless smaller companies. It would be similar to shutting down all airlines after a single crash. It may be that Salazar and his gang are just so ignorant of business that they think the government can simply shut down the super-sophisticated flow of supplies and men and then later restart it like flipping an electric light switch. It’s already estimated that it will take two years or longer to get Gulf production back to its pre-suspension levels. Meanwhile, deep-water drilling rigs-which cost over half a million dollars per day to operate-are being sent away from the Gulf to work in Africa and Asia where they are wanted. It will take months, if not years, to bring them back. Some 100,000 high-paying jobs are now at risk. Already the number of deep-water rigs has dropped from 42 to 19. • We have learned that the oil could have been skimmed early on so that very little-if any-would have reached shore. Wanting-or creating-scarcity has always been a part of the leftist agenda, on the theory that scarcities create the need for government allocation and control. One of the greatest threats of the current situation is that environmental extremists will use it as a justification to further their misguided agenda. Jon Basil Utley is associate publisher of The American Conservative. He was a foreign correspondent for Knight Ridder newspapers and former associate editor of The Times of the Americas. For 17 years, he was a commentator for the Voice of America. In the 1980s, he owned and operated a small oil drilling partnership in Pennsylvania. This column first appeared at Reason.com. Why Do Some Local Economies Thrive While Others Struggle? Burdensome interventions in the economy may lead to even more people packing their stuff into moving vans and leaving the area. Before raising the minimum wage, Florida should examine the possible unintended consequences. The gig, or sharing, economy was spurred by market demand and technological evolution, so free market solutions are uniquely positioned to address its challenges. The lenient ratings attracted excessive mortgage finance capital that exacerbated a home price bubble—and a wider asset price bubble. 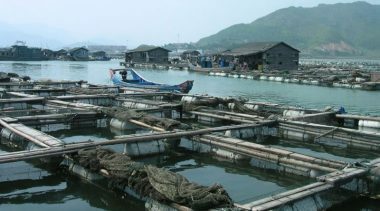 Aquaculture already produces half of the seafood that humans consume and that percentage continues to rise.